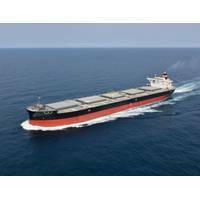 On September 25, a new 100,000 deadweight tonnage coal carrier ordered by NYK Bulkship (Asia) Pte. 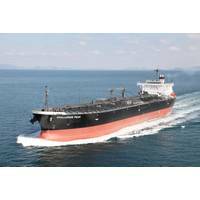 Ltd., an NYK Group subsidiary company based in Singapore, was delivered at Oshima Shipbuilding Co. Ltd. (Saikai city, Nagasaki prefecture). A delivery and naming ceremony was held at the shipyard on the same day and attended by NYK senior managing corporate officer Masahiro Samitsu and representatives from Chubu Electric Power Co. Inc.